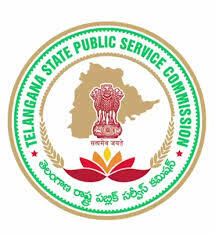 TSPSC Lab technician Syllabus and Previous Question Papers Download, TSPSC Extension Officer Syllabus & Previous Question Papers, Model Papers 2018, TSPSC Lab Technician Notification 2017, Latest Recruitment of Lab Technician 2017 December – Telangana Public Service Commission (TSPSC) has issued a latest recruitment notification to recruit Extension Officer Grade-I (Supervisor) in WD, CW & DW Departments (Women) and Lab Technician Grade-II in DPH & FW, DME & TVVP. Candidates who are completed Diploma in Medical Lab Technician/ Degree they can apply through TSPSC website before last date. Applicants also check other details related to TSPSC Lab technician Recruitment 2017 like how to apply, selection process, syllabus in Telugu, District wise vacancies, category wise vacancies, educational eligibility, Lab Technician Syllabus 2018, Model Question Papers, TS Extension Officer Notification 2017 and other details are given below. Candidates who are planning to start preparing to get Lab technician & Extension Officer (EO) posts they must and should check previous question papers, syllabus, exam pattern, study material, Books, to get a high score in the written exam. Official syllabus not updated yet.. we will be updated here when it's available. Telangana Statehood movement and formation of Telangana State. Moral values and Professional ethics.